"The service you provide is truly 1st class..."
To set up your credit account, complete the Credit Application form (below) & we can get underway. 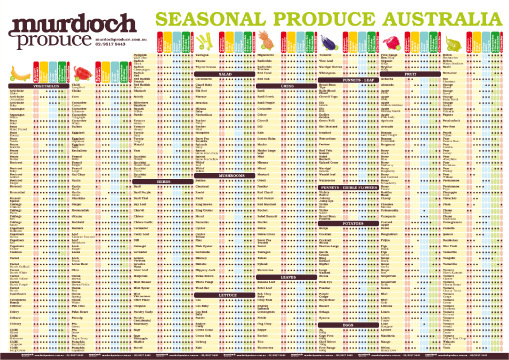 We can ship Australian produce to customers in the Middle East, Europe, Asia, the subcontinent and the Pacific Islands. We are experienced in freighting produce and liaise closely with the relevant AQIS delegates. Each shipment has its own requirements, we ensure the shipment meets the regulatory, packaging, treatment and labelling requirements, all in a timely manner. To discuss your particular order please contact us. Market Update - To subscribe click on the button at the top of the page. This report is a snapshot of the local produce scene and a great resource. This free tool will keep you informed, improve your purchasing decisions & assist with menu planning. Menu Consultation - A FREE service for our clients it is useful when creating a new menu to ensure the most efficient use of produce. Or use it as a 'health check' on your existing menu to be sure the produce used offers the best flavour and value for money. We will go through the process with you step by step to assess the suitability of produce for use & suggest seasonal alternatives. Please get in touch to arrange this service.